The previous month had been absurdly hot in the Netherlands for that time of the year. It was as hot as it would normally be mid-August. Today, the temperature has luckily become pleasant again, around 17-20 degrees. It isn't that hard anymore to sit behind my computer to work on my blog. I will start with this simple mackerel salad recipe. The heat has inspired me to create more different kinds of salads recently, as I just don't have much of an appetite, when it is suffocatingly hot. Munching on some refreshing and juicy salad leaves cools me down. 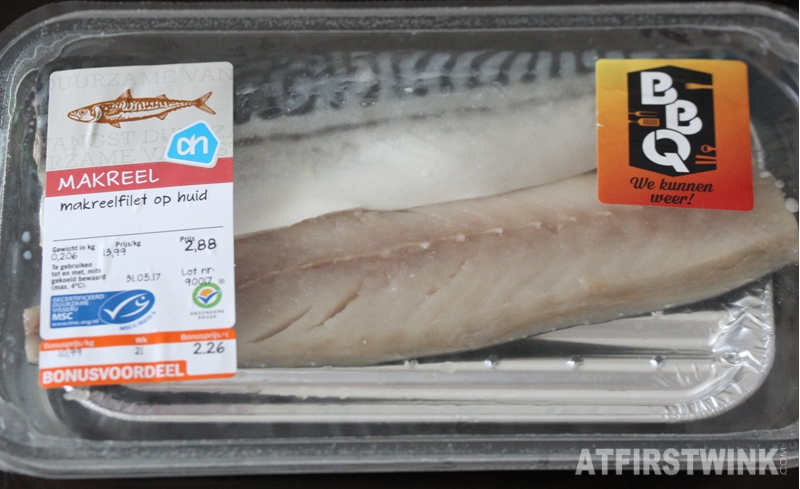 I don't know if the Albert Heijn supermarket normally sells mackerel or that it is a special, summer limited, BBQ product, but it was the first time that I saw this. It was also a lot cheaper than fresh salmon (which has become really expensive! ), so I gave it a try. - Pan fry the mackerel fillet with a little bit of oil, until it is cooked and before you take them out of the pan, drizzle a little bit soy sauce over them. - Set the fish aside to cool a little bit down. - Wash the cherry tomatoes and put them in a large bowl, together with the rest of the salad. - Make a salad dressing with a bit of soy sauce, balsamic vinegar, and sesame oil. Flavor it to your liking and add it to the salad. 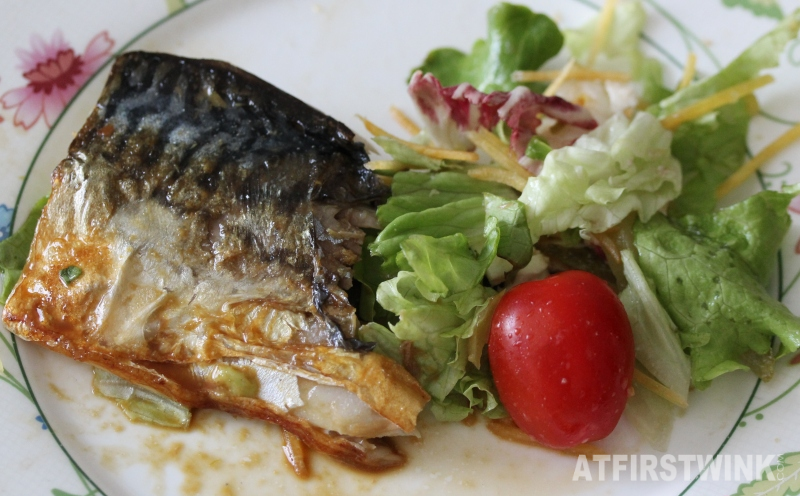 - Serve one mackerel fillet with some of the salad on the side.